Project Ability is a Youth Sport Trust funded initiative which aims to provide more opportunities for pupils with Special Educational Needs and disabilities to take part in competitive sport. Through the School Games framework and a network of 50 lead Project Ability Schools in England, the focus is on improving quality and extending the provision of physical activity for young people with a disability. Project Ability is delivered as part of the School Games and includes the establishment and implementation of even more local competitive opportunities for young disabled people. In Northamptonshire and since 2011, Project Ability is led by Friars Academy in the Wellingborough and East Northants School Sport Partnership. We are delighted to announce that Rowan Gate has achieved the Sainsbury’s School Games mark at Silver standard for our commitment and development of competition, school sport and Physical Education. 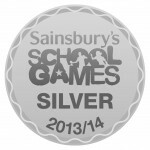 What is the Sainsbury’s School Games Mark? The Sainsbury’s School Games Mark is a Government led awards scheme launched in 2012 to reward schools for their commitment to the development of competition across their school and into the community. Schools in England are able to assess themselves across bronze, silver and gold levels of the Mark. Intra-school (Level 1) – sporting competition for all students in school through intra-school competition. Inter-school (Level 2) – individuals and teams are selected to represent their schools in local inter-school competitions. Sainsbury’s School Games Festivals (Level 3) – the county / area will stage a multi-sport festival as a culmination of year-round school sport competition. 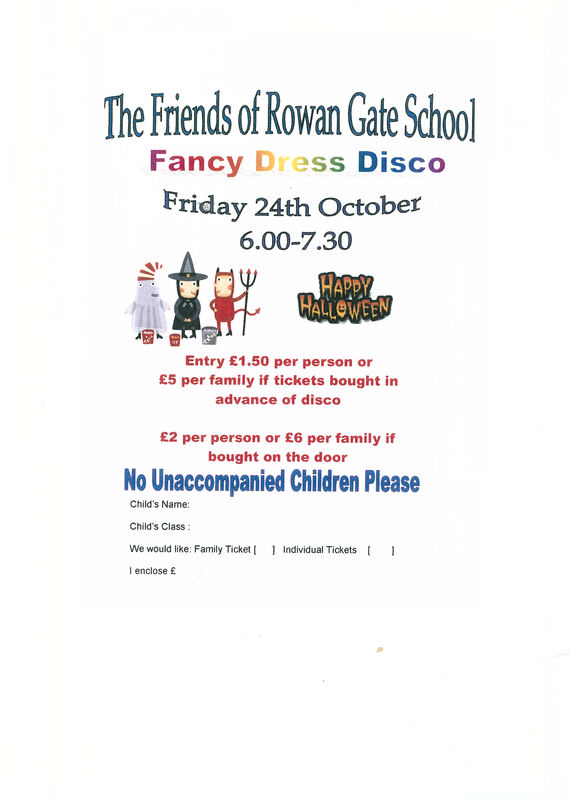 We are delighted to announce that Friends of Rowan Gate have been chosen by Sainsburys of Wellingborough as their charity for this year. A team of 3 from Blackberry’s class, competed in a Table Cricket competition, at Greenfields School and Sports College in Northampton. The Rowan Gate team was joined by children from Greenfields. The competition was open to Primary and Secondary Schools across Northamptonshire. 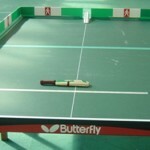 Just as it names suggests Table Cricket is a version of cricket that is played on table – usually a Table Tennis table. Each bowler bowls an over (6 goes) by rolling a small ball down a ramp. The batsman has a miniature bat and they score runs by trying to hit numbered zones, which are set up around the table. The fielding team can slide fielders around to catch the batsman out, by stopping the ball hitting the scoring zones. Runs are taken away if a batsman is caught out. The winning team is the one that has scored the most runs. 36 pupils took part in the competition from Rowan Gate, Friars Academy, Northgate School, Glapthorn Primary School, Wren Spinney, Greenfields, Billing Brook and Kingsthorpe College. The competition was supported by Northants County Cricket Club and The Lord’s Taverners who did a fantastic job officiating and scoring the matches. There were a lot of very close matches throughout the competition which were played in great sporting spirit. The Rowan Gate team and all the other pupils showed great improvement as the competition progressed. Well done to Northgate School on being the overall winners. a) used as high quality teaching time. c) prevents children becoming low on energy, particularly if they eat little or no breakfast. b) variety of textures, tastes and types of food and drink offered. c) storage and presentation of food and drink. We would be grateful if parents could send in a £1 weekly donation (just 20p per day) towards the cost of providing food and drink for your child. You may pay weekly, termly or for the whole school year, whichever is most convenient. 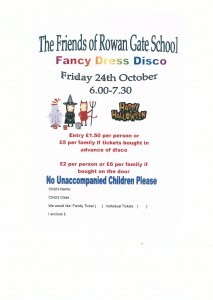 If you pay by cheque please could you make your cheques payable to NCC Rowan Gate Primary School. The funds will be collected and recorded in the school office. Thank you to staff and children who donated £1 and wore Jeans to school. 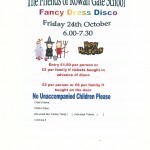 We raised the fantastic sum of £120.00 towards this great cause.